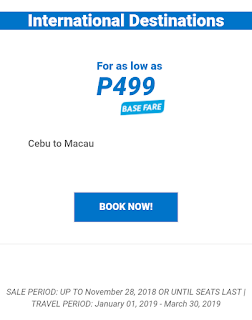 For 99php domestic base fare will be able to reach around 844.76php for all-in that include terminal fee, fuel surcharge, and web admin fee. 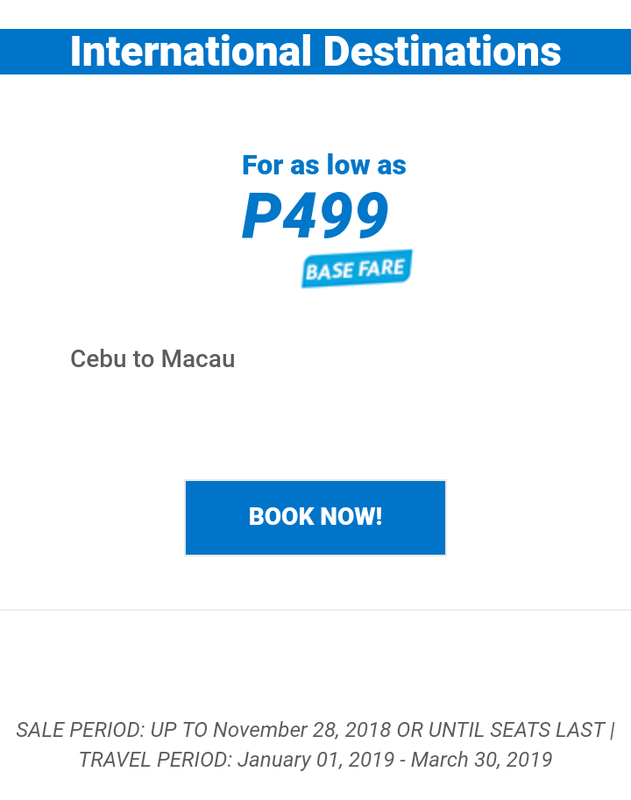 While, for 499php international base fare will be able to reach 1262php with fuel surcharge and web admin fee, but from Cebu terminal fee is excluded that is 750php. 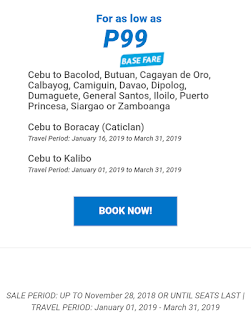 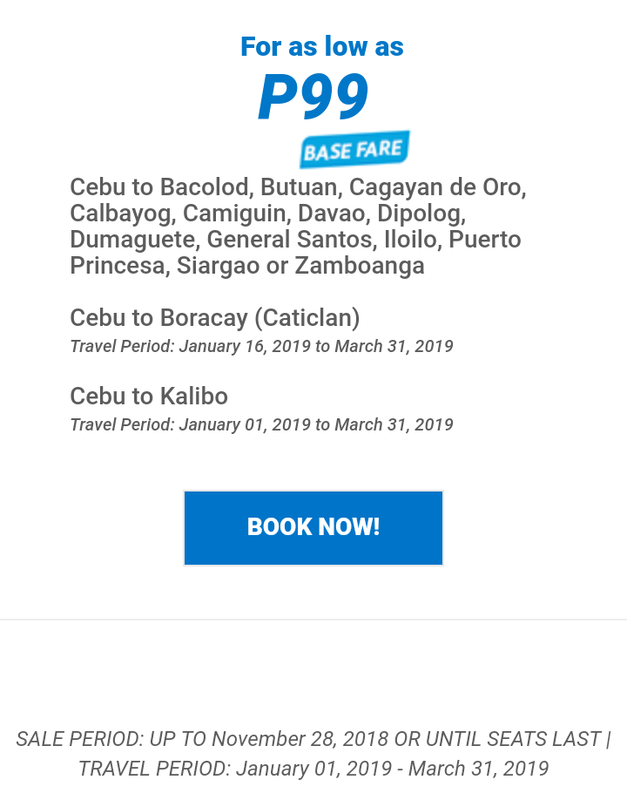 Travel period is January 1, 2019 to March 31, 2019 but for Cebu to Caticlan-Boracay is January 1, 2019 to March 31, 2019.